Well after working on the refresh of Mad Scientist Technologies’ website for the last month or so, I’m happy to say Refresh v1.3 has been push out live. So, if you haven’t yet seen the refresh, please take a moment and dropped by Mad Scientist Technologies’ website. Now, a few people may ask about the title of this post – “Unofficial – Refresh Launched!” This is somewhat of a joke about how; one – the refresh of the site isn’t much more than a toned down version of the previous theme and two – the official launch of the new theme isn’t suppose to be until Saturday. 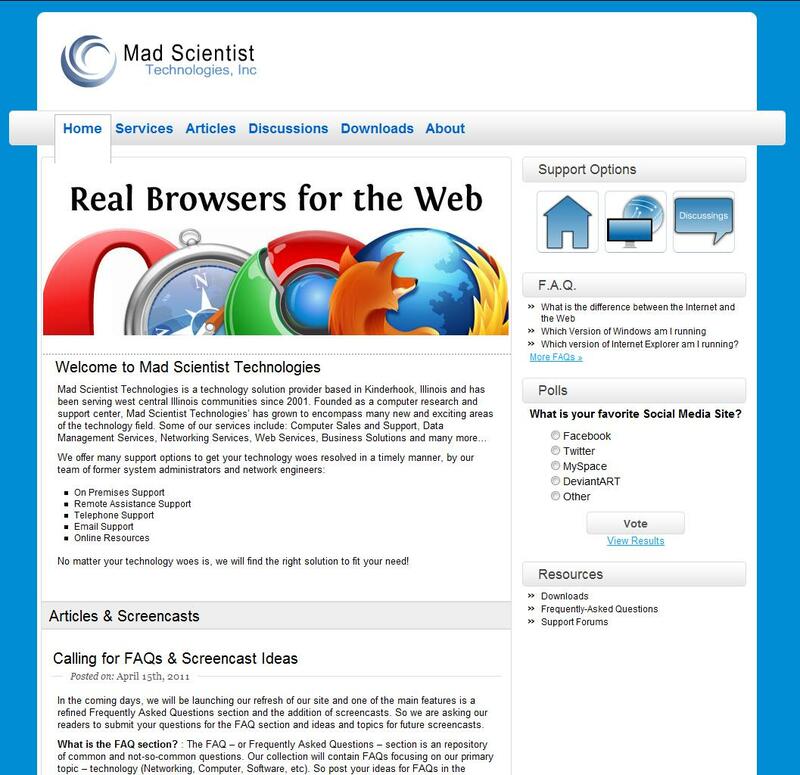 So, please check out the refresh and provide feedback either on this article, the official launch article, or through the contact form on Mad Scientist Technologies’ site.